I keep seeing people argue against minimalism because they don’t want a capsule wardrobe full of “boring” neutral colors. My question is, where does it say that minimalists requires that? Let’s forget that I actually gravitate towards neutrals. I’m not going to argue for them. And, yes, I know that many of the experts recommend them because if you have a capsule wardrobe, neutrals make things easier. But there is no rule that you have to follow. In fact, the only “rule” is that you love your wardrobe and use it. So, if you love a psychedelic coat that you wear every time the temps fall below 70, it doesn’t matter that it isn’t neutral. Also, if you have big pops of color in your wardrobe, they probably work well with your other more neutral options. And nearly everything goes with black, so you can still mix and match. Maybe you want a closet that looks rainbow-like in its vibrancy. That’s okay! Embrace that rainbow. To me, the goal of minimalism is to introduce conscious consumerism rather than compulsive consumerism into the world – not to steal color or patterns from your life. It strives to make you consider each purchase rather than mindlessly shopping to fill a void (which I’ve done) or to achieve a fleeting thrill (which I’ve also done). It doesn’t stop you from adding a fabulous, faux-leopard print coat. 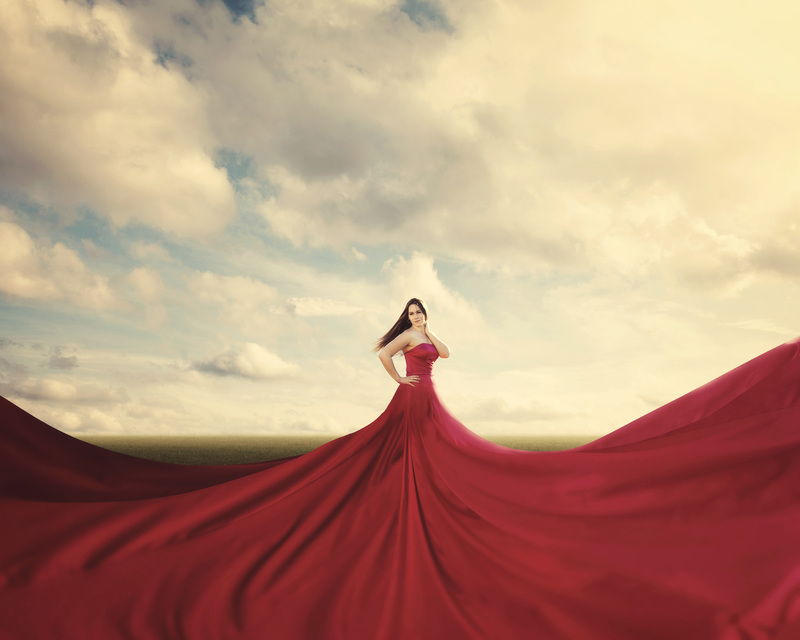 If you are going to wear it, love it and feel good in it, go for it! Do I have bold colors in my wardrobe? Despite my frequent desire to blend into the woodwork, I actually do. I have this bright reddish/orange dress that I love. I have a red sweater that gets more wear than nearly anything else in my winter wardrobe. And green is my go-to for when I need a pick-me-up. It’s true that I tend towards solids, rather than big patterns, but I do have some festive dresses that embrace them. Despite those somewhat daring (for me) choices, I do still see myself as a minimalist when it comes to clothing. The more I learn about fast fashion, the more I reject it. I’d rather wear the same 10 things than have a closet full of things that I never wear and have a hugely negative human and environmental impact. Am I perfect? Nope. I have a tight income, and I don’t always take the time to read up on the company producing the clothing. But there are some no-brainers. Among them, for me, is not buying disposable clothes – things that are so cheaply made that they will end up in a landfill in less than a year. That’s where I have started. Like everything else in life, it’s a process. How about you? 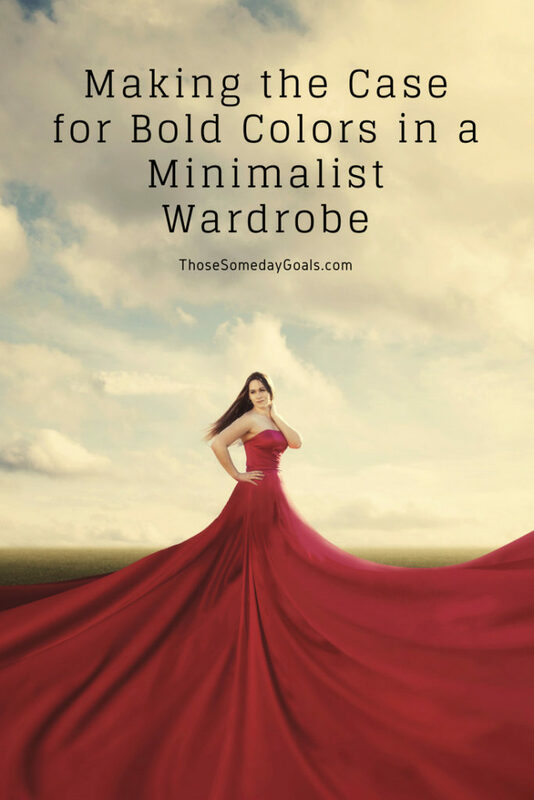 Are you a minimalist when it comes to clothing? Have you gone full neutral because you felt pressure to do it, or do you love that color palette? I would love to hear from you.